Hayward, Wisconsin is full of exciting events throughout the entire year. Visit in July to view the LumberJack World Champions or in February to view the American Birkebeiner Cross Country Ski Race. But all the fun does not just revolve around the many exciting events that take place. Because of the beauty in the Northwoods, Hayward offers many recreational activities throughout the entire year to attract vacationers. Whether you’re looking for a winter escape, a destination for a large family gathering, or a simple weekend-getaway – Hayward WI has a vacation rental for you. Explore the Northwoods in a peaceful and new way. 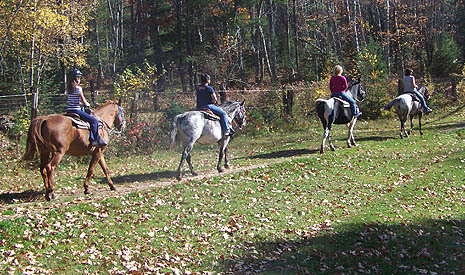 Spider Lake Ranch Riding Stable caters to beginner riders and more experienced. The guided tours offer a unique experience in Wisconsin. Another option in the Hayward area is renting a bike to explore the scenic trails. New Moon Ski & Bike offers bike rentals for both children and adults. Spend a day out on the water canoeing or kayaking. These scenic trips are fun for all ages. Pack a light lunch and take out all your family and friends. Jack’s Canoe and Tube Rental offers canoe, kayak, and tube rentals. 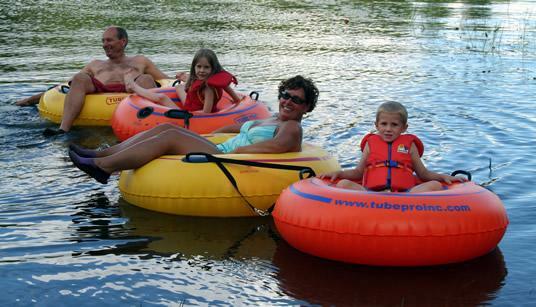 The tubing trips are the ultimate definition of the lazy river. All of the trips offered at Jack’s come with complementary shuttle services. Many people enjoy visiting northern Wisconsin in the winter. Enjoy the stillness and white covered trees. Take out a snowmobile on one of the many trails in the Hayward area. View the Sawyer County Trail Map to assist your next adventure. Find the perfect vacation property in Hayward, WI. We list a variety of vacation cabins, cottages, and homes in Hayward – check them out and find one that fits your vacation needs! This entry was posted in WI Vacation Destinations and tagged Hayward, perfect vacation, travel, WI travel, wisconsin. Bookmark the permalink.